Violinist and composer Soon Hee Newbold offers this delightful new work based on the sounds of Russia. You'll be amazed at how interesting this work can sound using note values no smaller than a quarter note. Simple imitation enhances the overall sound and helps students learn to play independently of each other without having to learn a new part. Violin 2 doubles the viola to provide flexible performing options. 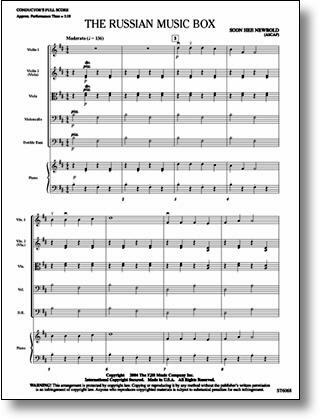 Exquisite writing for beginning orchestras from one of the country's most respected string composers!